Unopened case showing the position of the screw holes. 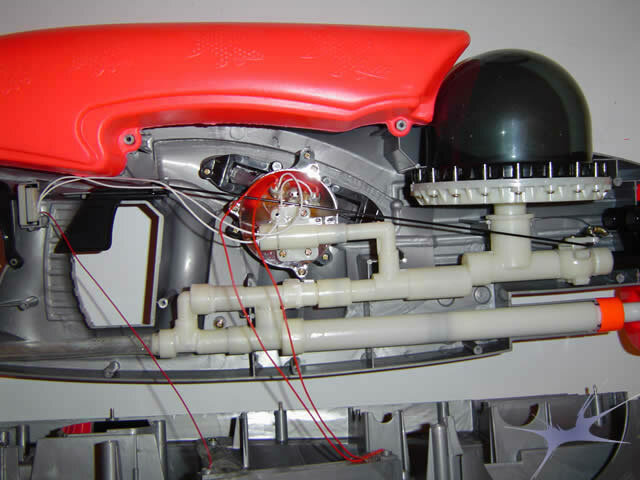 Case only opened partially due to presence of wires from the electronic pressure sensor to the battery case. 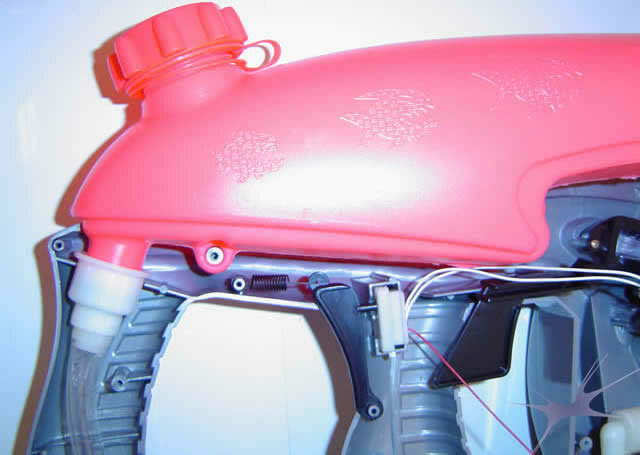 Internal tubing network and CPS-like Hydro-Power diaphragm. 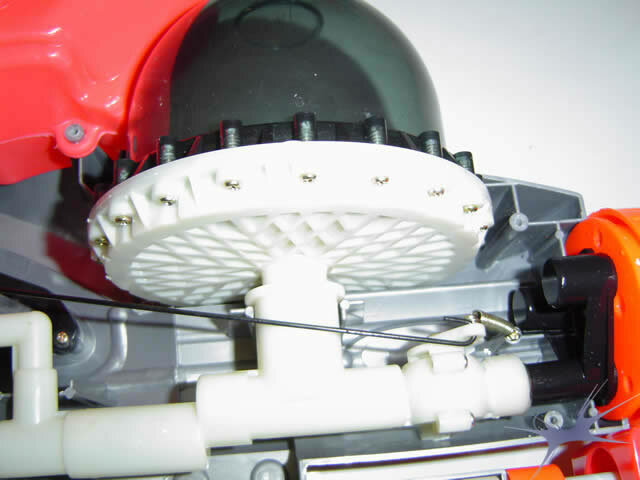 Close-up of the base of the diaphragm pressure chamber. Close-up of the electronic pressure gauge. 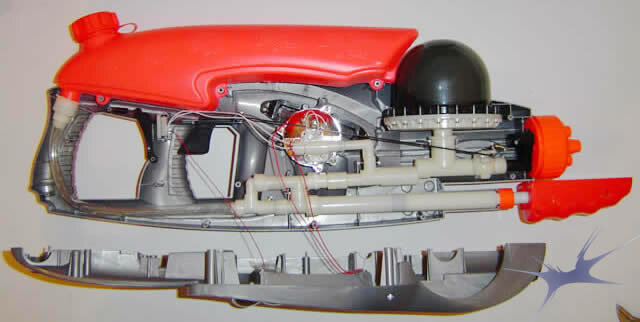 Alternate view of the electronic pressure gauge and pressure chamber along with the trigger rod and nozzle-valve assembly. 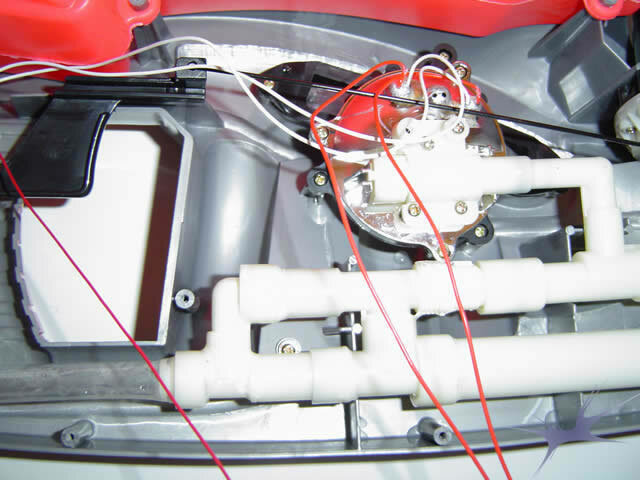 Reservoir intake position and electronic pressure gauge activator switch.